Naniwa Pump Mfg. 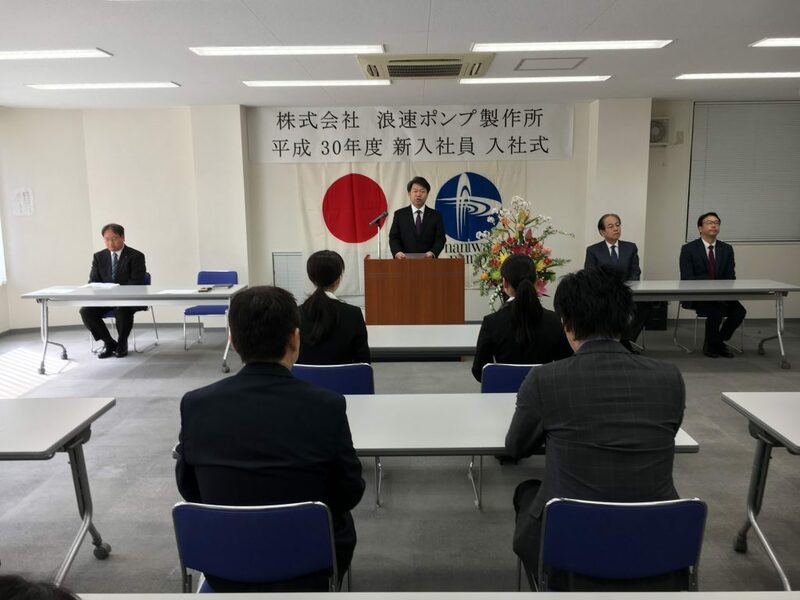 Co., Ltd. held a ceremony welcoming new employees at Osaka Main Office on April 2, 2018. | Naniwa Pump Manufacturing Co., Ltd.
Naniwa Pump Mfg. 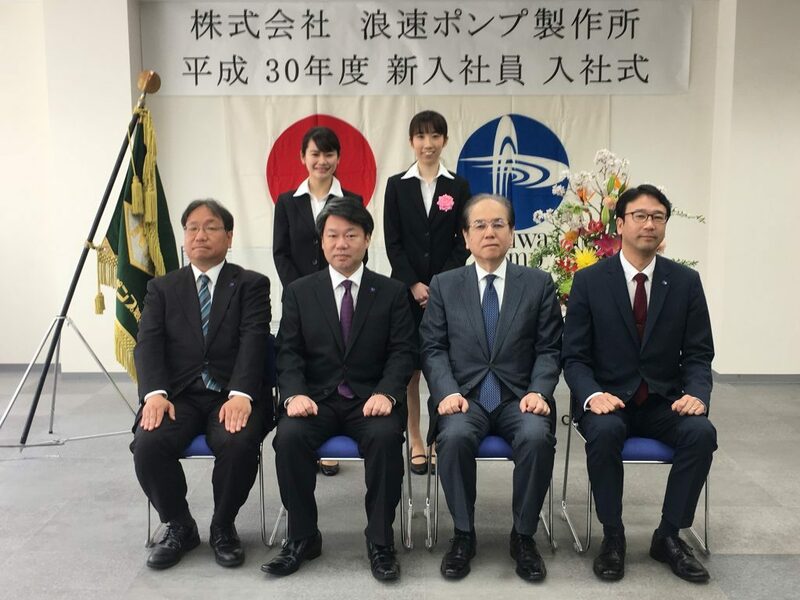 Co., Ltd. held a ceremony welcoming new employees at Osaka Main Office on April 2, 2018. Two (2) new employees joined the company right after graduating from university/technical school. The President & C.E.O. Mr. H. Noguchi gave a speech welcoming and encouraging the new employees. One of the new employees replied on behalf of the group. The new employees will be assigned to different departments in the company after completing their training at the external training center and at their respective job sites thereafter.